This morning I discovered a YouTube video contest by Somerset Academy of Music in Loveland Ohio, wherein the student video with the most likes by the end of the month wins a free month of lessons or $50 cash. 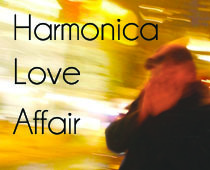 One of their students, Nick Froehlich, submitted a harmonica video as his entry and it’s pretty good! He’s got great dynamic control, nice clean tone, and uses his hands really well to help shape his sound. This kid’s got some real talent! So, as a gesture of support to a harmonica brother, I thought I’d post his video here and give you the opportunity to lend him your vote. Now, to be fair to the competition (and for some really nice non-harmonica music) you should go check out some of the other entries, too. But mostly I wanted to share with you Nick’s video. So have a listen and enjoy. And when you’re done, don’t forget to go to the YouTube page and ‘Like’ the video.